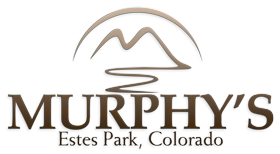 While you are enjoying your stay at Murphy's River Lodge, be sure to check out the wide variety of Events and Activities going on in the Estes Park area, most of which take place just a short walking distance from your room! From Arts & Craft exhibits to a 5K Run to Elk Fest, Estes Park surely has something that will peak your interest! Begin your fun day with a tasty, complimentary breakfast in our brightly colored Community Room. Breakfast includes bottomless coffee, fresh fruit, pastries, cereal, yogurt and much more! The Community Room boasts wonderful view of Fall River from the wrap-around balcony . The Community Room seats 36 people comfortably and day-use reservations are available for your group. When booking for the day, amenities include use of the entire room. Please call for day-use reservations in advance. Call Directly to book our Community Room. Held at our sister location, Murphy's Resort (located on the same road 2 miles to the east), an instructor will lead participants in a painting of their interpretation of the evening’s selected piece.